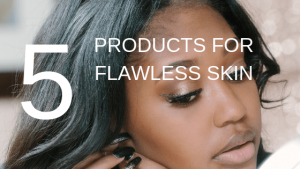 If you are a skincare junkie like me, you are probably always on cult beauty or Sephora looking for the Holy Grail product which will take your skin to the next level. Despite having a serious skincare addiction, there is some product I come back to again and again because when I don’t my skin lets me know that it is not happy and I have learnt to listen or have to deal with pockmarked problem skin. This is pretty much the Holy Grail when it comes to acid tonners and I know that it has a number of variants for different skin types and locations. I have pretty much tried them all and nothing comes close to the 1970 version. The 1970 variant is the original formal of p50 and contains Phenol which is banned in the EU but not in the US so that is where I get my supply. The site calls it a magic potion which does it all and exfoliates, hydrates and balances the skin’s PH. 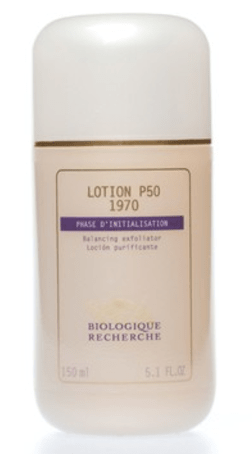 P50 is a chemical exfoliator and can be used by all skin types. Although no one knows the exact percentages of the acids in P50, it is a cocktail of Phenol, Niacinamide, Lactic Acid, and Salicylic Acid all of which are good for combination skin. I am an acid tonner connoisseur and have tried almost every toner variant there is, however with this formula I can see the difference in my skin within a few days. Any active acne subsides and my skin is able to heal. Ignore anyone who tries to offer suggestions for dupes for this product there aren’t any. I know this brand has been in the news recently for no so good reasons. If you are interested in learning the details here is a link. 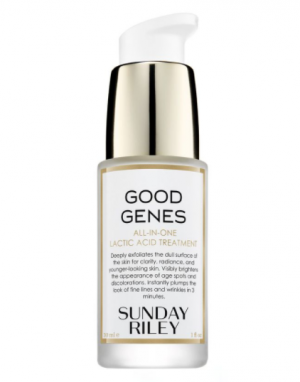 Although they have a stellar deck of products, one of their products and has consistently lived up to the hype is Good Genes – Lactic Acid Toner. 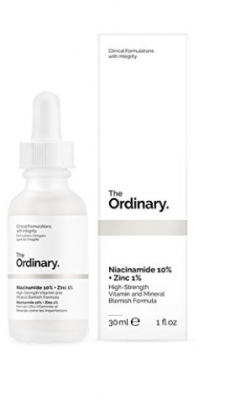 The brand describes it as an all in one lactic acid treatment which supposed to reduce fine lines, hydrate and plump skin as well as reduce the appearance of hyperpigmentation. A mouthful, yes? I am happy to tell you that it does all that it promises and a little more. I was sceptical when I read the reviews, I mean lactic acid is lactic acid? Well, not this time. The ingredients combined with the Lactic acid somehow makes it both gentle and effective at the same time. Like P50, don’t bother looking for a dupe it doesn’t have one. Believe me, I have tried a lot, hoping to get the same effect at a lower cost. If you want to test out the wonderful benefits give Good Genes a whirl you won’t be disappointed. The only catch is that it is expensive. This is another cult favourite and makes a regular appearance on my Instagram feed because I love it so much. 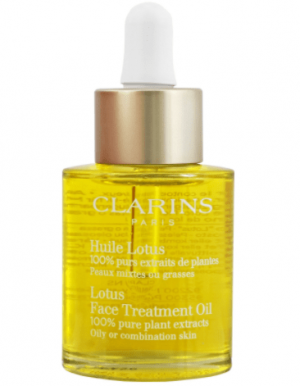 The Clarins Lotus Face Oil is made from a blend of clarifying, moisturising and rebalancing oils. They help to hydrate and nourish the skin making it baby soft. I use this oil during my night time skincare regime after my moisturiser. This helps seal in moisture so my skin remains hydrated and the oil production in my skin controlled. I Prefer to use it at night so that I can slather it on and let it absorb without worrying if my makeup will slide off my skin. Prior to using this consistently my skin was prone to acne and was so oily that my 10 am I would need to blot otherwise I would look like an oil slick. Don’t get me wrong my skin is still oily, but the number of breakouts are practically zero. I always have a backup of this because the thought of being without this is too much to bear. Where to buy: Clarins is available anywhere skincare products are sold, I buy mine at the airport when I travel. If you have redness and congested skin this is a no-brainer that should part of your skincare regimen. I had massive breakouts last year due to stress and using this product saved my skin. The combination of Niacinamide and Zinc helps controls oil production in my skin and reduces the appearance blemishes. Apart from reducing the frequency of my breakouts, it helped by reducing the appearance of my pores, acne scars and pigmentation. The serum has a thick gloopy consistency and I use this after my acid toner and allow this to absorb before moving on to the next step in my regimen. After several months of use i acheived my dream of flawless skin. One of the benefits of this serum is the price I use this after my serum and it only costs $10 so is super affordable. Like the Clarins lotus oil, this is another face oil that is part of my skincare rotation. Rosehip oil helps to reduce hyperpigmentation, inflammation and improve cell production. 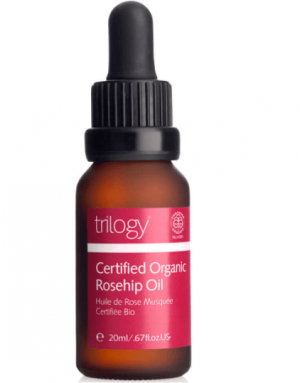 Prior to using the Trilogy Rosehip oil, I tried a good number which was not quite … up to scratch. The website mentions the oils are certified organic maybe that is why it works so well on my skin. Like the lotus oil, I use this after my moisturiser and it absorbs perfectly into my skin. It is especially helpful when my skin needs to be soothed after a chemical peel or a strong treatment. The rosehip oil is extremely soothing and calms my skin down immediately. With regular use, it really pumps my skin up and keeps my skin super soft and help with scarring as well. The only drawback is that it is expensive compared to other Rosehip oils. Since it comes in multiple sizes (20ml and 45ml) you can start small to see if it works to you, but I am sure it will. what are your holy grail products? did they get a mention? Let me know if you have tried any of these products or if you have some good less pricey substitutes let me know in the comments. The Clarins Face Oil sounds like the perfect product to use during the fall and winter months. These products all sound amazing! I have such sensitive skin, all these seem to be gentle. Wow! I want to try them all. Can’t wait to try these products. Can’t wait til I use up my current products! These products sound wonderful…I really like how you include the price, allowing readers to gauge their accessibility. Thank you. I’m super interested in trying the rosehip oil! Extremely helpful! Thanks for sharing, I’m planning on trying a few of these products!